With the birth of the Hillsdale College chapter of Cit­izens for Self-Gov­er­nance, demands for an Article V Con­vention of States found renewed vigor on campus. And indeed, many vocal facets of the con­ser­v­ative movement have lent their support. 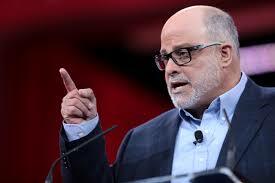 In the words of Mark Levin, our country is “on the precipice of national dis­aster.” The “only solution”? 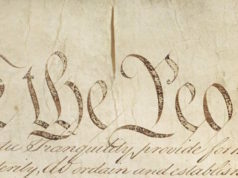 An Article V Con­vention. Co-founder of the Con­vention of States Project Michael Farris said: “A Con­vention of States under Article V is our only real­istic hope of saving our liberty.” And Hillsdale sophomore Weston Boardman advo­cated for an Article V Con­vention in last week’s issue of The Col­legian. Con­ser­v­a­tives such as Levin, Farris, and Boardman see a con­vention as both our last hope and our silver bullet, the panacea to all of America’s ills. However, an Article V Con­vention of States will not solve America’s problems and poses sig­nif­icant risks. Advo­cates for a con­vention allege that the people are on their side. While polling shows around 65 – 70 percent of people would like to see a con­vention, this does not mean those voters support con­ser­v­ative goals. Polls also reveal 68 percent of Amer­icans support a ban on semi-auto­matic rifles, for example. If con­ser­vatism held as much political capital as Article V Con­vention advo­cates claim, an easy avenue for con­sti­tu­tional restoration would be through Con­gress. But there is not a deep-seated yearning for con­sti­tu­tion­alism in the American cit­i­zenry today. And as Plato’s Republic teaches, the regime is merely a reflection of the soul of the people. Thus, there is a certain risk inherent to any con­vention. 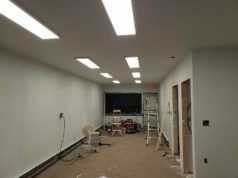 Lib­erals want to make many more changes to the Con­sti­tution than con­ser­v­a­tives, and they would be highly moti­vated to take advantage of any oppor­tunity. True, the rat­i­fi­cation process is stringent, requiring the agreement of 38 states. But throughout our history, of the 33 pro­posed amend­ments sent to states, 27 were rat­ified. And would del­e­gates to a Con­vention have a more robust under­standing of justice and human nature than those whose ideas birthed our nation? Surely not. Compare the astute minds attending the Con­sti­tu­tional Con­vention of 1787 to our leaders today, and the propo­sition seems laughable. Even the leg­is­la­tures of deep-red states tend to diverge from con­ser­v­ative prin­ciples. Common Core, for instance, orig­i­nated in Texas. This is an oppor­tunity for politi­cians in the mold of Eliz­abeth Warren and Bernie Sanders to rewrite our Con­sti­tution. Or, perhaps, those in the mold of John McCain and Jeff Flake. God forbid the two sides come to a com­promise! Advo­cates like Boardman promise this cannot happen. But therein lies the rub: On one hand, they say nothing radical could come of a Con­vention. On the other, they posit a con­vention as, in Levin’s own words, “the only solution as big as the problem.” A Con­vention either can rad­i­cally transform our country, or it cannot. Advo­cates cannot have it both ways. Most fun­da­men­tally, calls for a Con­vention mis­di­agnose the problem. Our problem is not the Con­sti­tution; the problem is that we have aban­doned it. 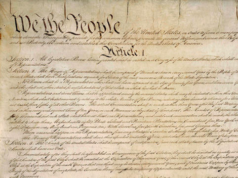 Erecting more of those “parchment bar­riers” Madison ref­er­ences in Fed­er­alist 48 will not curb the Constitution’s abuses. We need good people to uphold our laws, and our demo­c­ratic tra­dition of rep­re­sen­tative gov­ernment has not been exhausted. Our problems do not lie in our Con­sti­tution, but the people we elect to obey it. We cannot simply pass more laws to make our problems dis­appear. The promised “quick fix” does not exist. In support of a Con­vention, Boardman quotes George Mason. The irony, of course, is that George Mason opposed the Con­sti­tution and refused his sig­nature. On the other hand, James Madison, the Constitution’s primary author, spoke out against the pro­posal to allow for Article V Con­ven­tions: “Dif­fi­culties might arise as to the form, the quorum etc., which in con­sti­tu­tional reg­u­la­tions ought to be as much as pos­sible avoided.” The com­plete lack of precedent led to grave logis­tical worries for James Madison; Boardman is uncon­cerned. Addi­tionally, the word “rev­o­lution” appears three times in Boardman’s article. In the Dec­la­ration of Inde­pen­dence, the word rev­o­lution is nowhere to be found. Rather than appealing to reason, this sort of rhetoric serves only to excite the pas­sions. Lest we forget, the Ancients defined law as reason free from passion. Flip­pantly throwing around the word rev­o­lution is a dan­gerous game, and Boardman should be more respon­sible with his lan­guage. Let’s hope Hillsdale’s Cit­izens for Self-Gov­er­nance do not also come to regret their desires. Gar­rison Grisedale is a junior studying pol­itics. I think this author makes some sound argu­ments. Hillsdale’s civic edu­cation out­reach program as well as its clas­si­cally based charter school system aim to change the hearts, minds and souls of the people so that they will under­stand and “obey” (not the most ade­quate word) the great American Con­sti­tution. This is a dif­ferent sort of grass­roots cam­paign. And a good one.